Get organized and hold yourself accountable once and for all! A content calendar is an organizational tool, typically a working document or spreadsheet, used to create a long-term plan for your blog and it can also be used to manage your social media. 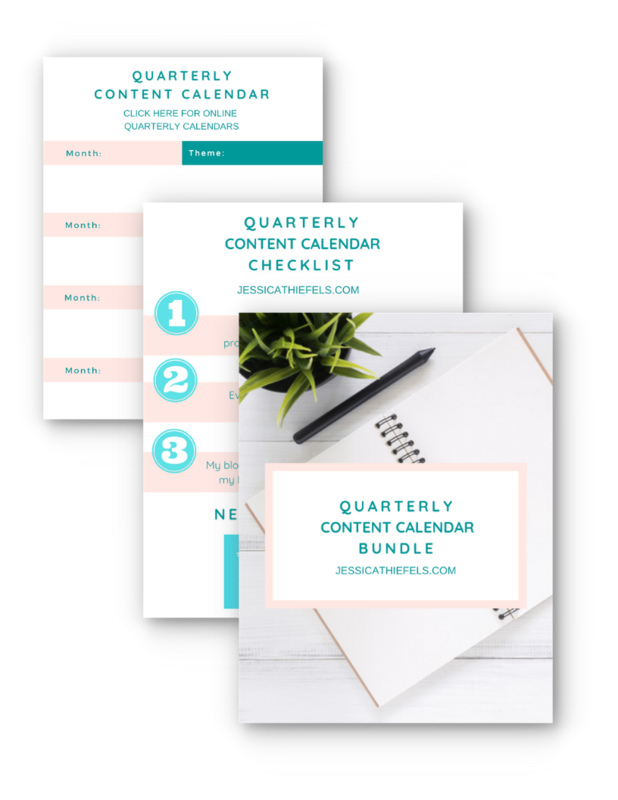 This freebie will give you the framework for starting your first content calendar, including templates you can copy from Google Sheets, plus a checklist to make sure you're on track with your blog post topics and social media themes. Head to your inbox to confirm your email and receive your download. Don't forget to check your promotions tab and spam!